The main provider of color in the garden during our cold months is the winter berry. By late winter signs of spring begin to appear, carrying with them more color from bulbs and other plants. 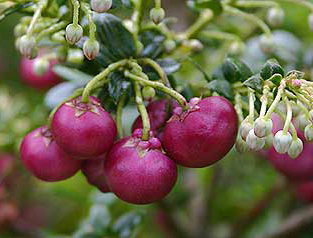 In between fall and late winter we rely on a few flowering plants, but the berry is the jewel of the winter garden. Here is a list of plants which provide winter ornament and, in some cases, forage for the birds. Follow links to Photos and information about each plant linked. Back to The Berries of Winter.